Wow, another great year. We were all treated to cooler than normal temperatures, however we did have to deal with another year of smoke due to the nearby Willow fire. Our path was speckled with burnt brush and tress along the roadside, left behind by the few large fires we’ve had this year. Our last stretch bringing us right by the still raging fire, the support teams and onlookers parked along the road. We changed it up this year and ended the ride at the Fresno Flats Historical Park. 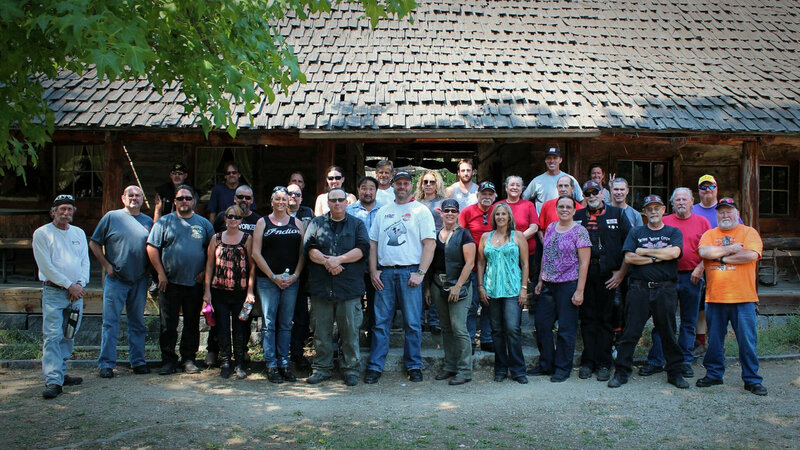 Unfortunately, a few of us were witness to a little mishap (not one of ours thankfully) as we made our way back back into town, but we were able to collect all the riders and get them to the BBQ where we all enjoyed good food, cold drinks and great company. It was great to see such a big range of riders again this year, and I enjoyed checking out all the rides during the few stops we made. This ride marked ten years since we lost Mike. I’m thankful for our time together and for this ride that brings so many people together each year. It seems Friendship Ride has become more and more a memorial ride for others that have lost someone close to their heart. A venue to share their memories of those that they lost. It’s easy to forget the important things while we’re busy living our lives. Sometime we need to take a break, hold close the ones we love, and take the time to remember those we have lost so as they will not be forgotten.